Are you looking for a cheap and easy way to take pictures and make videos from above with your action camera ? 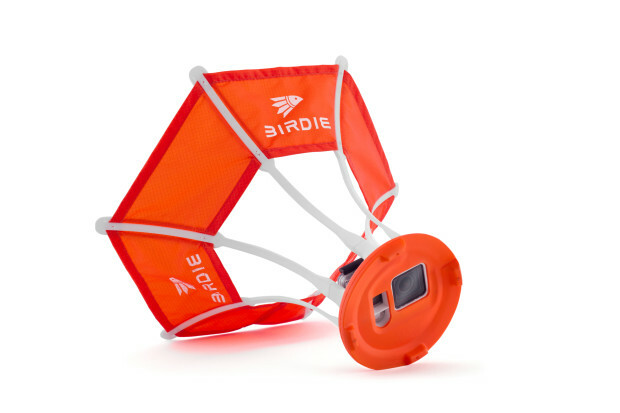 Here comes Birdie, the “parachute” for action cam. 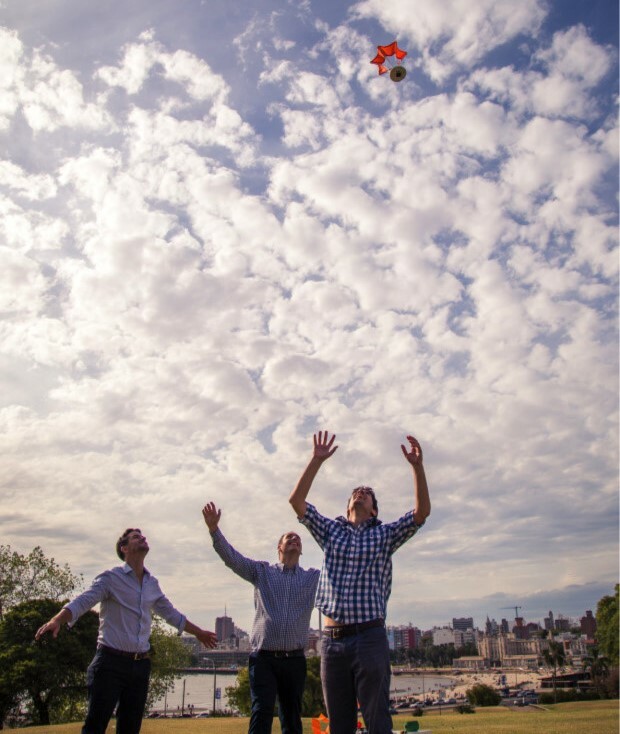 Recently landed on the crowdfunding platform Indiegogo, the product, which is very simple and practical, is -as said before- a sort of “parachute”: you just have to install the action cam in the appropriate space and BIRDIE is ready to be launched up in the sky ! The device can adapt to any action cam which uses the GoPro’s hook; it is practically unbreakable and it contains the right protections, which will guarantee the safety for your action cam. Birdie could remind you of an hot-air balloon but it doesn’t work like that: it’s different and very simple. First of all, you have to activate your action cam in photo mode (better if you choose time-lapse), then you throw Birdie up in the sky, wait for him to fall and try to catch it before it touches the ground. 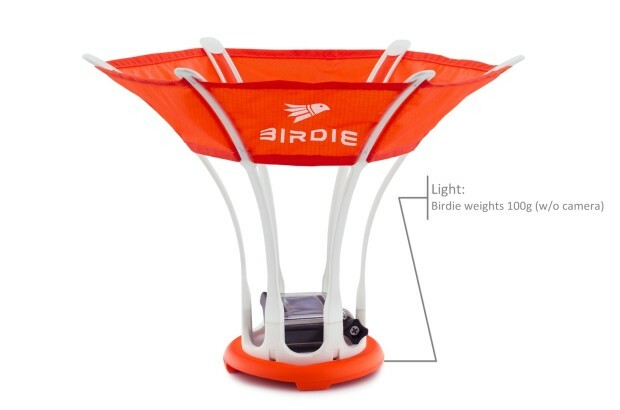 Once Birdie reaches the maximum height, it opens its little circular “wings” and it slowly and softly comes down, giving the opportunity to take pictures and make videos while it descends. Thank to this device, it will be possible to reach aerial photography -obviously, until a certain distance- without having the necessity to buy a drone. Naturally, we need to make the necessaries distinctions: drones and birdie are not the same thing. Drones have a lot of advanced functions and they allow to make stable recordings, which is not what Birdie can do. 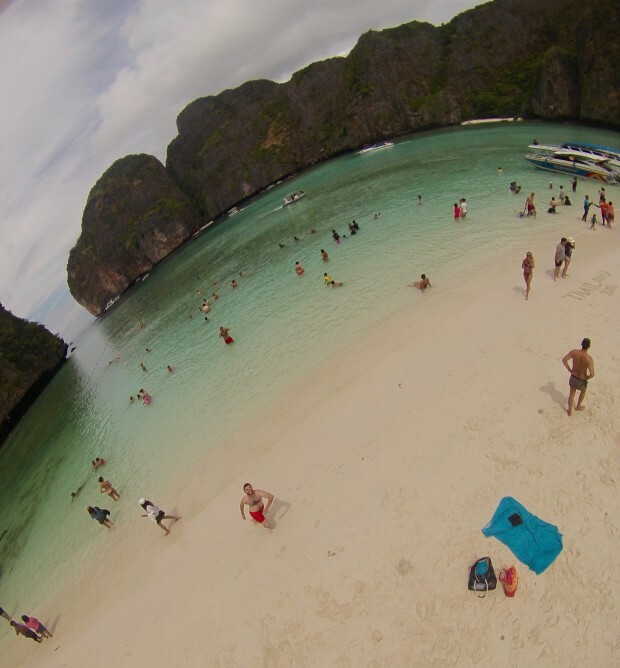 However, if you are looking for a recreational and cheaper solution, Birdie is undoubtedly the best. Otherwise, if you want to wait its arrival on the market, you will find it soon at the probable price of 50 $.